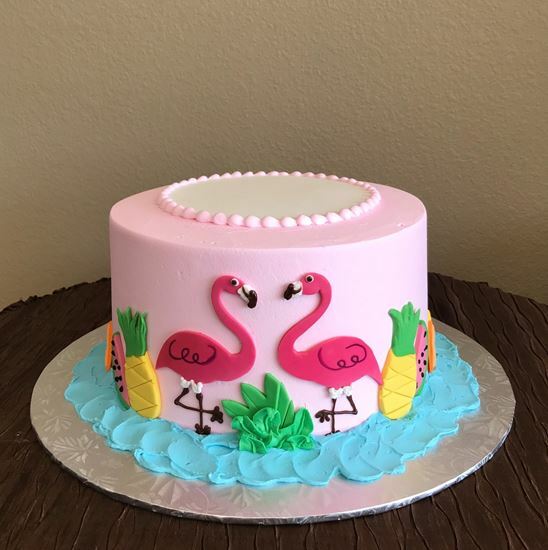 9" 2 Layer Cake made with your choice of cake flavor with Buttercream Icing. Your choice of Icing color. Included two Pink Flamingos. Serves 12 - 18 slices.